At Richards’ Roofing Inc., we are leading the roofing industry with a gold roofing standard for quality and customer satisfaction. Each contract will receive with it our undivided attention. We require all of our roofing technicians to be certified in their craft as Master roofing applicators. This is a solid foundation for a good quality control plan and a big advantage in maintaining our gold roofing standard. From roof repairs and preventive maintenance to complete re-roofing, we can handle all your Brevard County roofing projects. Owner Richard Geil is a native to the area. Having grown up and meeting multiple academic accomplishments here, he is deeply rooted and will remain dedicated to the growth and prosperity of his hometown. 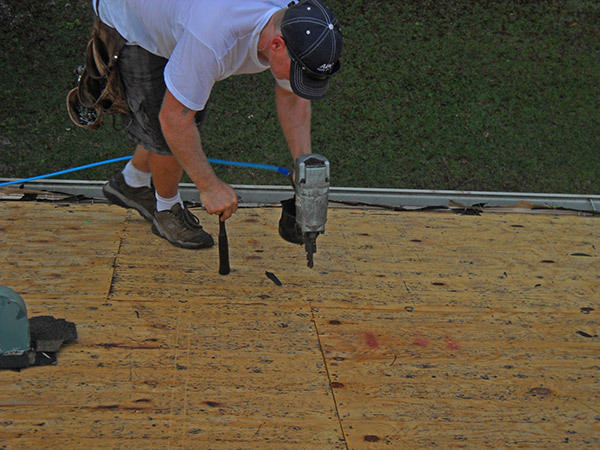 His roofing company is knowledgeable about all types of roofs and roofing materials. Please continue browsing our website for more information about Richards’ Roofing Inc. and to learn more about our roofing services. Give us a call to schedule a roofing appointment with our master roofing contractors. We also service Palm Bay, Melbourne, West Melbourne, Melbourne Beach, Eau Gallie, Indian Harbour Beach, Suntree Viera, Malabar, and Grant.